Inspired by Kerala traditional style interior of this is the pooja room. 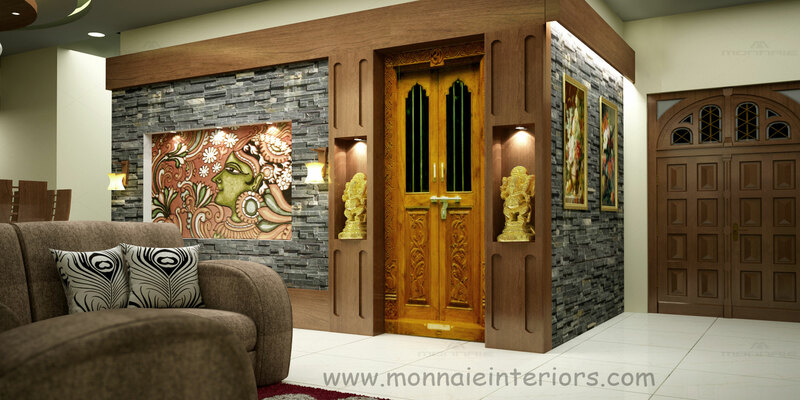 Wooden element is processing this pooja room space with stone cladding wall. The texture paint gives a magnificent Look.